Olga and Sergei made Aliyah along with their daughters, Diana and Eva. Sergei had a good job but recently he lost it (he is the main wage earner). Olga worked in education and her salary was very small. This was the impetus for them to leave for Israel along with hopes for a better future for their children and the fact that the children are fourth generation (and will not have the right to make Aliyah). 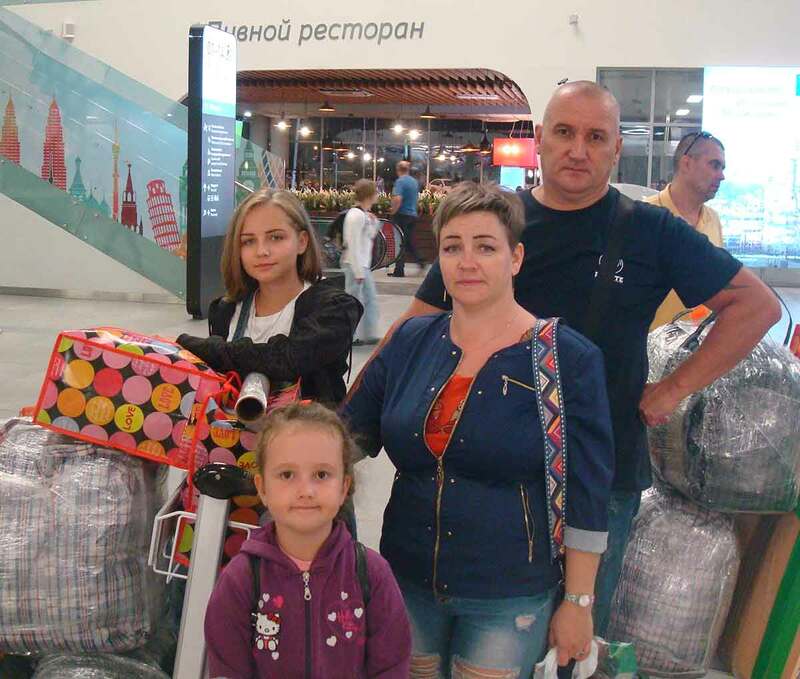 Ezra International also helped Olga’s mother, Larissa, when she left in 2016. Larissa is very happy that she left. She has found a job in Israel. Larissa complained of feeling pressure in Russia but says that everything is fine in Israel and she is glad that she decided to make her Aliyah. She is really looking forward to having her daughter and family in Israel too. Once in Israel Olga and Sergei want to learn Hebrew, find good jobs and get their daughters settled in school. Olga is finding it hard to leave because of all the uncertainties. Ezra helped the family with the trip to the Consul and with transport to the airport on the day of their departure. “Thank you very much for your help,” said Olga.